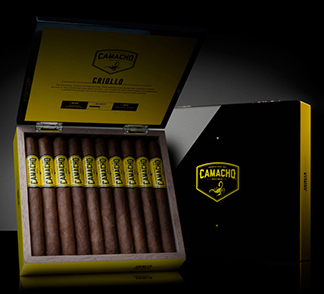 The Camacho brand modernized its appearance and reset the bar for bold and full-flavored cigars with the introduction of the Camacho Criollo, a medium-bodied smoke with that signature Camacho taste. The Honduran-grown "Criollo98" (4th priming) wrapper soaks up extra rays, giving it the perfect pop of white pepper and the "Authentic Corojo" binder brings a unique aroma and a bit of sweetness. Taking a spin on the taste profile of modern day Cuban cigars, Camacho steps it up a notch with the addition of Dominican-grown Piloto Cubano leaf to the spice of the Honduran Criollo filler, igniting the sweetness receptors on the palette and giving the Camacho Criollo cigar a well-rounded and balanced temperament.